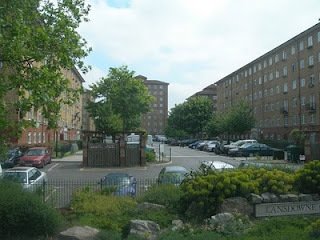 I attended a recent meeting of the Lansdowne Green Residents Association on behalf of the Labour councillors for Stockwell. The chair of the TRA, Julie Tatnell is doing an amazing job chairing the association and keeping the estate together in difficult times. A resident on the estate came to say that her nephew had recently been stabbed. This was an extremely distressing incident, which has deeply disturbed the local community. Working with the TRA, Labour councillors are arranging a meeting with the police to discuss ways in which the community can move forward. Many at the meeting had a number of ideas for improvements which could help tackle crime even if they couldn’t eliminate such terrible incidents. They include new CCTV cameras on the Wandsworth Road and outside the Cavendish Arms pub. It also includes organising more activities on the estate for youths (i.e. 11-16 year olds) and reinvigorating the ‘fun day’ which used to happen on the estate. We will work with residents to try to deliver these improvements, and welcome any creative ideas for cutting crime and tackling gangs. There are a number of important activities on the estate aimed at a younger audience – the In Harmony programme which provides music classes for youngsters had a major investment of £0.5million. Picture © Copyright Danny Robinson and licensed for reuse under this Creative Commons Licence. 0816jejeIl y nike air jordan 1 retro mid matte silver purple royal a beaucoup de magasins qui prospèrent encore dans la rue haute, chaussure nike air max pour enfants malgré l'économie qui oblige certaines entreprises à chaussure nike hommes tn fermer, laissant le magasin vide. Beaucoup dans la asics gel lyte v bleu homme lombalgie répondent assez bien à un plan air jordan concord femme de marche. Le slogan de Nike pour les nouvelles basket nike tn en soldes technologies, "Nike FlyKnit, Ultra léger, meilleur en bonne basket nike cortez rouge forme. ".